Here is another of the cards I made the other night. It was the first time I'd used the new 3/8" Ruffled Ribbon in Wisteria Wonder. It comes in all the new In Colors. This is a very simple card and when I was thinking of adding embellishments, I realized that in it's simplicity, it says so much. The ribbon and the little Jewels Basic Pearl were just right. As you can see in the photo, the card front is the window to frame the sentiment. 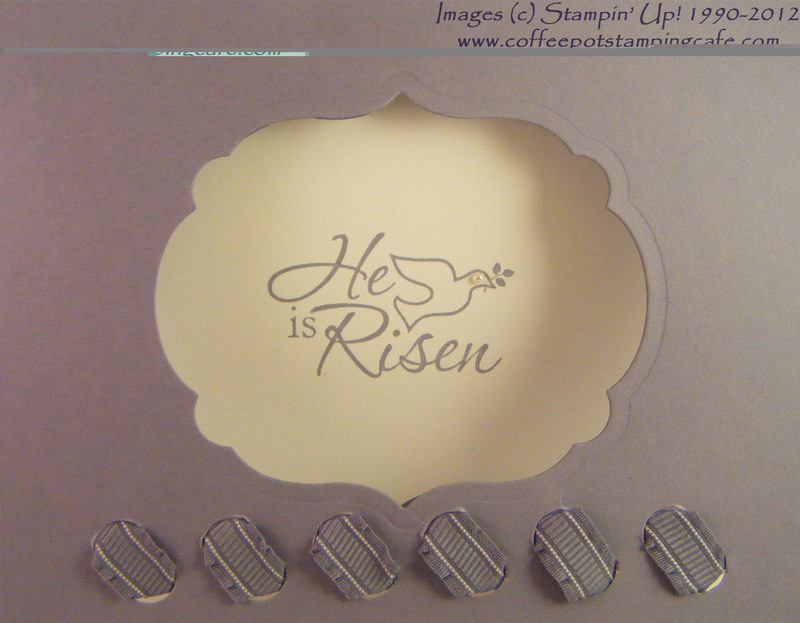 The sentiment is stamped on a cutout using one of the Labels Collections Framelits Dies. I think friends and family are going to get this one for their Easter cards this year. Got a question? Post it to the comments section and I'll have an answer for you within twenty-four hours.